Diesel & Motor Engineering PLC (DIMO) the sole distributor for Tata vehicles in Sri Lanka introduced Tata Yodha BS4 to local market recently. All new Tata Yodha is the first Indian BS4 (equivalent to Euro 4 standards) single cab to hit Sri Lankan roads with customer base increasing every month. Tata Motors Ltd. and DIMO are always at the forefront of connecting aspirations in terms of technological innovations and keeping up with the regulatory requirements. 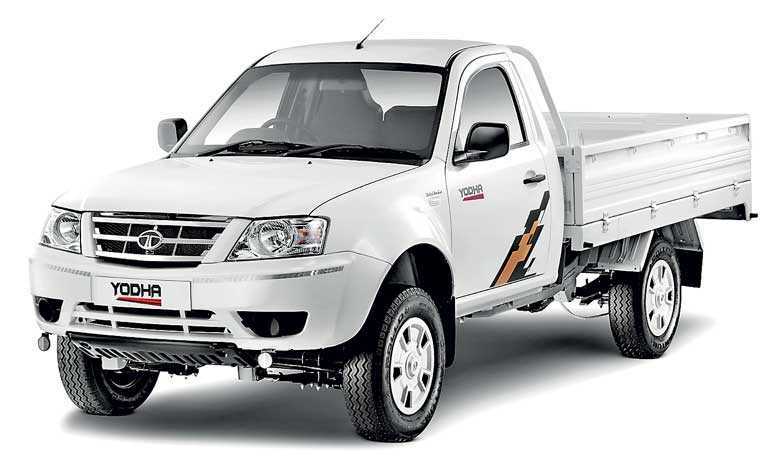 Setting new benchmarks in the pick-up segment, Tata Yodha is suitable for a wide range of commercial applications – a rugged, comfortable, safe and stylish workhorse characterised by everyday practicality, high levels of performance and lowest operating cost. Tata Yodha comes with impressive features that gives it a competitive edge among other pick-ups. Powered by a Direct Injection common rail (DICOR) 2956 cc diesel engine delivering best in class power of 85 HP and torque of 250Nm. Tata Yodha delivers high power and torque, for varied business requirements, for ease of day-to-day operations. The new Tata Yodha is an ideal solution for diverse commercial usage transporting agri-produce (Tea), safari, construction, etc. Tata Yodha has the best in segment ground clearance of 210 mm. For better fuel efficiency Yodha comes with reliable and rugged gearbox, which aids in better pick up in loaded conditions. One of the key highlights of Tata Yodha includes highest gradability of 30% enabling the vehicle to negotiate any terrains in loaded conditions, supported by bigger 16 inch tyres. The durable body is supported by 4 mm chassis frame. The additional strong suspension – 6-leaves at the front and 9-leaves at rear, ensures better safety in loaded conditions and at high speeds. Tata Yodha promises to offer great cabin comfort with Power Steering and an adjustable steering column. Tata Yodha comes with a load body length of 8 feet 4 inches and a width of 5 feet 7 inches. The service interval of the pick-up is at 20,000 km, with a higher oil change interval, resulting in more savings for the customer and high uptime. What makes the Tata Yodha even more appealing is that the vehicle is also offered with a 100,000 km or 18 months warranty from DIMO. Tata Motors Ltd. and DIMO have a strong relationship spanning 57 years, and Tata commercial vehicles play a vital role in the daily lives of thousands of Sri Lankans. Tata Motors and DIMO currently operate with 37 branches across the island to offer best Sales, Service and Genuine Spare Parts support and provide 24-hour roadside assistance to Tata customers across Sri Lanka.